Congratulations to the St. Louis Cardinals. They defied all odds and won the World Series despite not having probably even a top 5 team in the major leagues in my opinion. They got hot and caught all the breaks for a while and did something amazing. 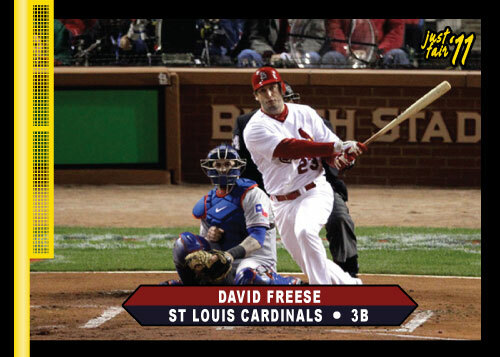 David Freese was amazing and took the MVP award. I just hope all the praise for Albert Pujols and his performance takes into consideration that he had hits in just 2 of 7 World Series games. He doesn’t even deserve a mention as World Series MVP. You know who does? The Game 6 rain out. Without it the Cardinals DO NOT win the World Series. 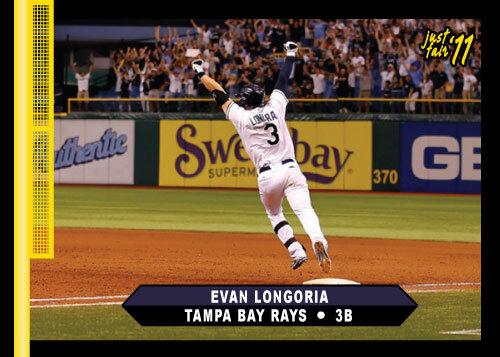 It turns out that Longoria’s extra innings home run was just fair so this seems appropriate. What a great moment. It was the perfect end to probably the best night of baseball I will ever see in my life. Derrek Lee got traded at the trade deadline this year. 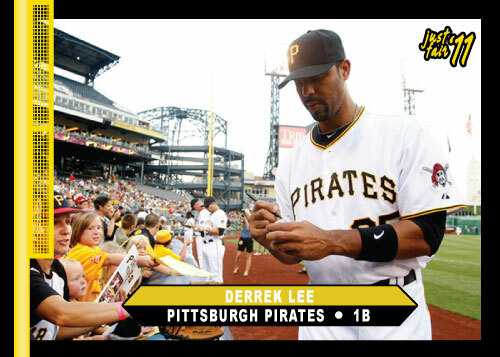 He went to the Cinderella Pittsburgh Pirates and played his first game on August 1st. 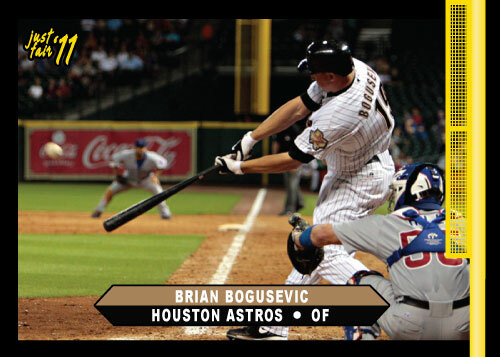 He promptly hit 2 home runs in his first game with his new team. Even though the game was a loss to the Cubs Lee created a folk hero out of himself right away with the team. It probably won’t happen but I really want this team to make the playoffs and Derrik Lee will have to be a huge part of that. 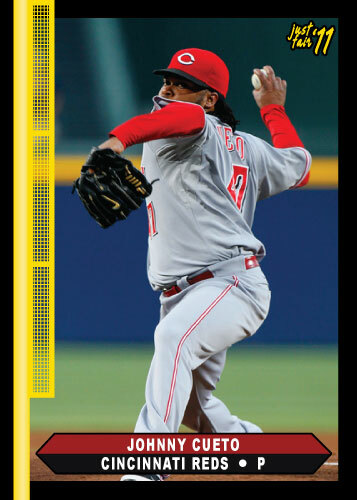 My Just Fair card series comes back to honor Ervin Santana who threw a no-hitter today against the Cleveland Indians. 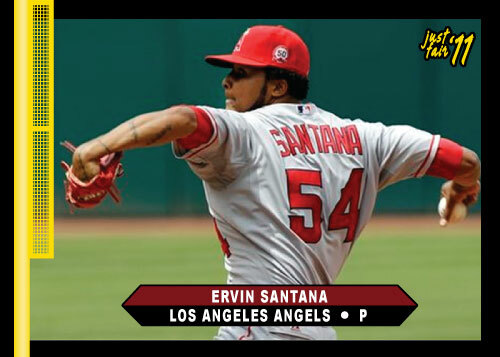 Another Angels pitcher who can be dominant. This team could be really dangerous in the playoffs. It’s been way too long since I posted a “Just Fair” card. 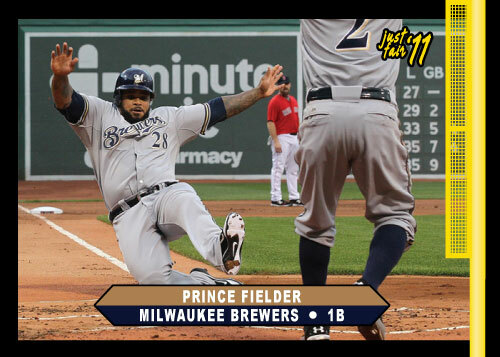 I chose Prince Fielder because I am locking him in as my winner in tonight’s home run derby. 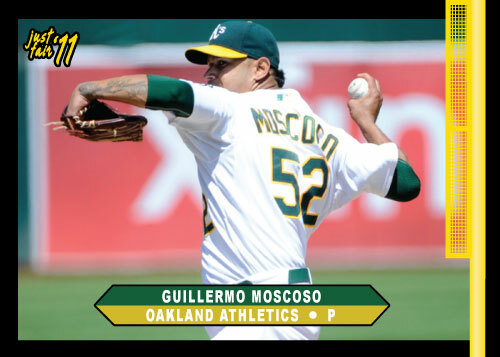 I’m thinking he’ll end up beating Robinson Cano in the finals and end up with about 26 home runs. 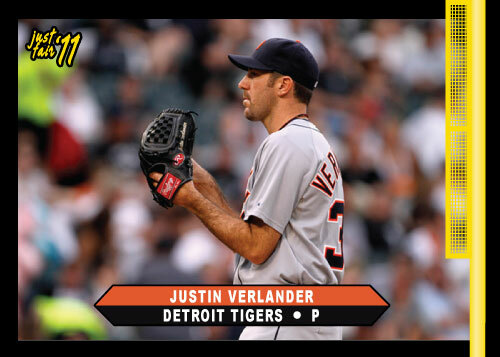 I will post another Just Fair card with my All-Star MVP pick tomorrow. Any guesses at the derby or All-Star MVP? So it has been a long while since I posted some new Just Fair cards. I chose a couple pitchers at random today, no real reason for them in particular. My last Just Fair post was over two weeks ago. So if you had 85 cards in the pool of when I would get tired of the cards you have won. With this addition I have 87 cards in the set. My goal was to have a big set by the end of the season, obviously that isn’t going to happen. I will try to keep going with them to give my site so diversity from being an all Royals site be I really don’t know how many more I will do. I have other projects that interest me a lot more right now.